Inventory comes in all shapes and sizes, so you also need a storage solution for small or irregular-sized items. This is where mesh decks can provide you with an affordable solution to your solve your storage problem. Advanced Handling & Storage Ltd can explain just how valuable mesh decks will be to your business. Mesh decking is an alternative to timber decking. 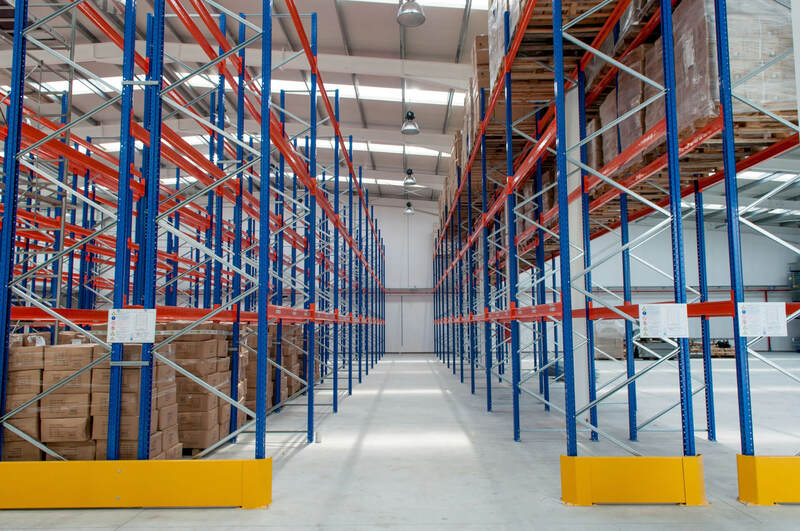 In this case, mesh panels can be installed between pallet racking beams without any need for complex fixings. A simple waterfall design is what will keep the front and the back of the mesh securely in place. The steel wire mesh will then give you the strength needed to store a wide range of goods. At Advanced Handling, we have witnessed a huge rise in the demand of mesh decking over the recent years. Alongside the highly versatile performance, customers are also benefiting from the safer design compared to timber. For starters, mesh decks are fire retardant while timber decks are flammable. Mesh decks also offer enhanced fire protection because they allow for sprinklers to send water straight down through the shelves below. The water travels easily through the gaps in the mesh to extinguish fire in storage areas. This means that they are favoured by insurance companies so can help to reduce your premiums. Please don’t hesitate to call us on 0800 345 7088 or send an email to sales@advanced-handling.co.uk. You can ask us any questions about mesh decks or storage solutions. Advanced Handling & Storage Ltd is a UK storage expert offering online orders and nationwide delivery.